Whenever you visit a new or exotic place for the first time, bringing something special back for close friends and family to share in your adventure is not only thoughtful, but also super fun. I like to play this game where I listen to my family members and come up with things they may need even though they didn’t ask for it or didn’t say it. Then I keep a running list of gift ideas for them, and check it off each holiday. For example, my dad looooooves Central American coffee, so bringing him fresh local beans from Costa Rica is a real treat. 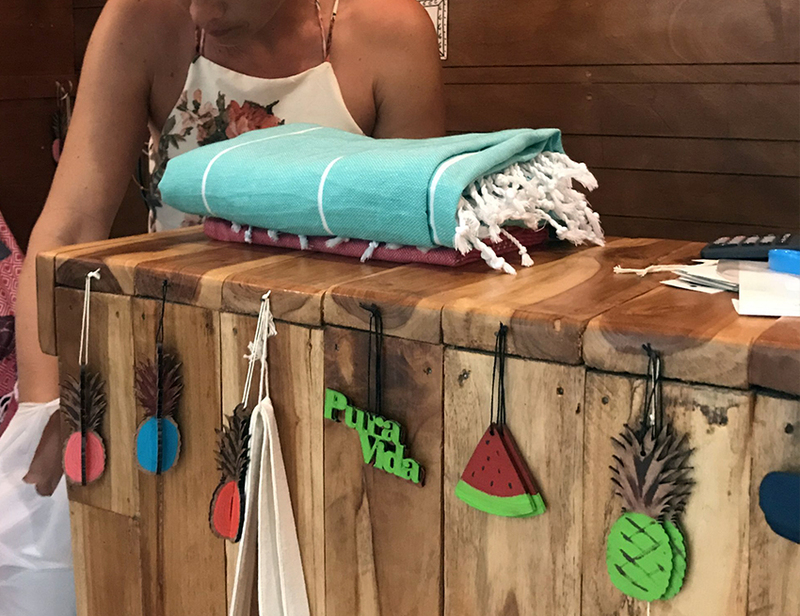 Plus, people will be more willing to listen to you go on and on about how great your vacation was if you bring something back for them too 😉 Out of all of the stores I wandered through, here are my ideas for where to find the best souvenirs in Tamarindo, Costa Rica. If you head all the way down the main road in Tamarindo, it ends in a circle. At the Northwest side of the circle is a cute little shop that sells so many adorable gifts for the home or to wear! If you’re looking for something for the home, pick up one of the 2Aves Turkish towels. They are so soft, and come in different sizes for a blanket, scarf, mantel, or surf towel. One of our friends picked up a beautiful one for their bed back home, and I have to admit I wish I had done the same for the lovely teal one! On the other side of the circle at the end of the main road in Tamarindo is a cute little jewelry shop called Urban Eclectic, run by an interesting American woman who escaped Los Angeles to Costa Rica some years ago. I love her story of going from a paralegal to Etsy shop owner to Costa Rican shop owner. Now she spends her days crafting in her seaside shop, has a website and an Etsy shop. Her website blog actually has some really cool articles documenting her story. What a dream! It’s very inspiring – if only I had this kind of tenacity. Maybe I do. I was looking everywhere to make a local craft while I was here! This pottery studio has been here for quite some time, and they’ll teach you how to make and paint a piece of coil pottery that you can bring home as a souvenir or gift for someone you love. 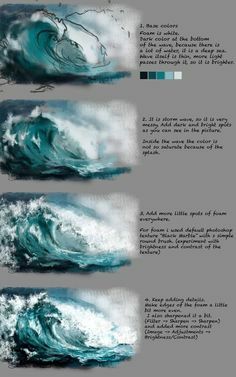 How cool would it be to make a Costa Rican-style piece of pottery? The nice man who owns this studio with his mother politely answered my annoying questions about their process, and then asked me how long I had been doing ceramics for. I used to do ceramics. I don’t know for how long or how much, but I guess I did enough of it that he thought I knew something about it. This was Chris’s favorite shop by far, and definitely the best salesperson! A man named Manrique was tending the store when we went in. He was so knowledgeable about the history of the artifacts and Costa Rica in general! Chris ended up buying a book on musical instruments. Every item in this store has a story, and the richness of bringing objects to life like that makes it hard to walk away from them! We’ll go back here the next time we are in town, I’m sure. If you’re looking to bring home something special for family or close friends, any supermarket is surprisingly a great place to find gifts. Did you know that cocoa originally comes from Costa Rica? My favorite. Pick up Costa Rican cocoa, coffee beans, salsa, or jam and share some local flavors with your friends back home. There are plenty of other cute stores to lining the main road of Tamarindo that sell good souvenirs. I’d spring for a little coffee brewer for my dad the next time we visit. You can also check Trip Advisor for more ideas. Do you have any other recommendations?